Is the Shared Universe Model Dying? Let's take a look at each of these and examine how they fared, whether the enterprise is still being pursued, or whether the entire endeavour has been abandoned. Let's begin with the MCU's obvious rival when it comes to box-office success: DC. The journey to the DCEU is longer than most other cinematic universes on this list. The DCEU officially begins with Zack Synder's Man of Steel that debuted in 2013. However, that movie had been in development for some time, having been pitched by Christopher Nolan and David S. Goyer around the time of The Dark Knight in 2008. Man of Steel's development doesn't appear to have been influenced by the necessity to fit into a larger universe. The movie stands on its own two feet, for better or for worse. Although its director Zack Synder says that the movie was always meant to be part of a larger story, that is not evident when you actually watch the movie. I think as that movie was in its various stages of development the plan was to simply make the best possible movie they could, and see how it would be received. In a strange twist of fate, the movie released one year after the record-shattering success of Marvel's The Avengers, and there's little doubt that the execs at Warner Bros saw this success and desired to emulate it, leading to the announcement of Batman V Superman: Dawn of Justice at Comic Con in the months following Man of Steel's release. 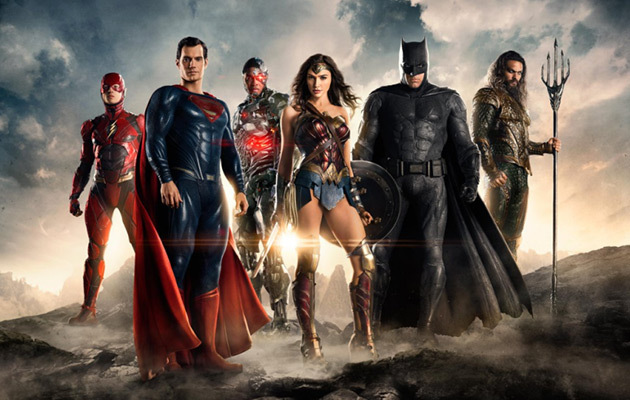 The decision to press ahead to the Justice League can't be seen as anything other than a direct response to Marvel, and the rushed nature of Batman V Superman and its sequel Justice League may have all but scuppered fans' hopes of a vast interconnected universe to rival Marvel. The success of Wonder Woman and Aquaman seems to have convinced the powers that be that solo adventures less reliant on inter-connectivity is the path forward. With Ben Affleck out as Batman, and Henry Cavill's future as Superman uncertain, it's hard to imagine the Justice League re-assembling anytime soon. Perhaps the greatest ever example of not putting the cart before the horse, Universal Studio's Dark Universe is arguably the biggest overall failure on this list, partially due to the fact of how it was announced with such confidence before its first movie, The Mummy, even opened. There had been another attempt to launch a classic literary monsters universe a few years before The Mummy, with Dracula Untold. However, the tease at the end of that movie amounted to nothing after the movie failed commercially, and the whole project was rebuilt from the ground up, culminating in The Mummy in 2017. Before the movie had even opened, Universal made the bold decision to announce the Dark Universe, a series of interconnected movies featuring their library of classic monster characters. This was announced along with Frankenstein, Bride of Frankenstein, Dracula, Creature from the Black Lagoon, Phantom of the Opera, Hunchback of Notre Dame and Invisible Man in TIME magazine, along with a photo of the actors cast to play some of the leading characters, including Tom Crusie and Sofia Boutella from The Mummy, Javier Bardem (cast to play Frankenstein's monster), Johnny Depp (The Invisible Man) and Russell Crowe (Jekyll/Hyde, who also appeared in The Mummy). The arrogance of the whole announcement can really be seen now with the gift of hindsight, as the whole project is dead in the water, with the immediate future of these characters passing over to Blumhouse. It might seem strange to talk about a universe that hasn't been officially created or announced yet, however, it's clear that Paramount, in association with producers Hasbro, would love to merge the worlds of two of their most popular toy products into some kind of shared universe. The Transformers series has been on the go since 2007, while the original G.I. Joe movie debuted in 2009. Both of these series have fallen on hard times as of late. The Transformers series hit a commercial low point with The Last Knight, while Bumblebee didn't light up the box-office in quite the way the studio would have wanted. Similarly, G.I. Joe failed to launch a franchise in 2009, and neither did its soft reboot, starring box-office magnet Dwayne "The Rock" Johnson, G.I. Joe: Retaliation in 2013. It would make sense for the studios to revive interest in their properties by merging them into something new. 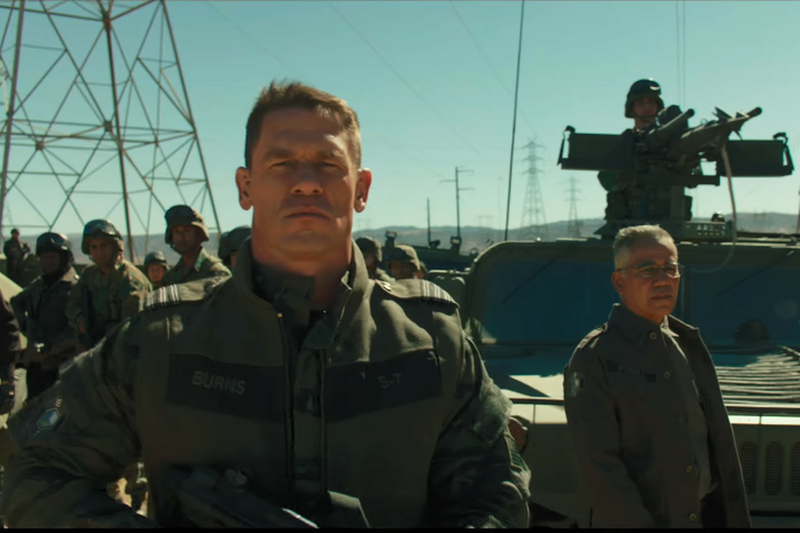 In fact, despite being unconfirmed, there were plenty of rumours surrounding John Cena's character on the Bumblebee press junket, and whether he was in fact a character central to the G.I. Joe universe, a rumour that was neither confirmed nor denied by Cena himself or the director Travis Knight. It'll be interesting to see where this goes, especially as interconnected universes don't seem to be the same box-office draw they were five or ten year ago, unless you're the MCU of course. Beginning officially with Venom, starring Tom Hardy, in 2018, Sony's Spider-Verse, without the webhead himself, is one of those ideas that sounds so terrible on paper you wonder how it got onto an executive's desk. Despite this, thanks to producer Amy Pascal and, longtime villain of Spider-man fans everywhere, Avi Arad, the Spider-Verse did launch in 2018 with the much critically maligned and downright bizarre Venom. Remarkably, and against all the odds, the movie turned out to be a huge commercial success for Sony, solidifying its plans for a series of movies centred around the vast gallery of Spider-man characters currently in their possession. 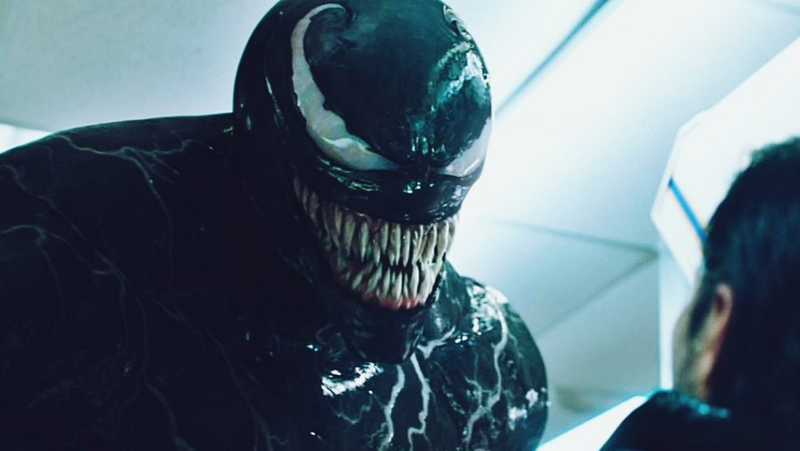 Morbius the Living Vampire, starring Jared Leto, is next on the agenda for Sony, while a Venom sequel is slated to release in 2020. Along with those two titles, there's been longstanding rumours of a Silver & Black movie, featuring the characters of Silver Sable and Black Cat, but it appears as though that project has gone dark of late. It's difficult to tell what Sony are trying to achieve with this shared universe, because based on the characters they've chosen to adapt first, there's little to no evidence that these titles could crossover in any kind of cohesive way. Symbiotes and vampires running around in the same movie sounds so daft it just might work. In terms of major failures straight out of the gate Universal's Monsterverse has to be tied with Warner Bros' Arthurian Universe, and the huge flop that was King Arthur: Legend of the Sword. 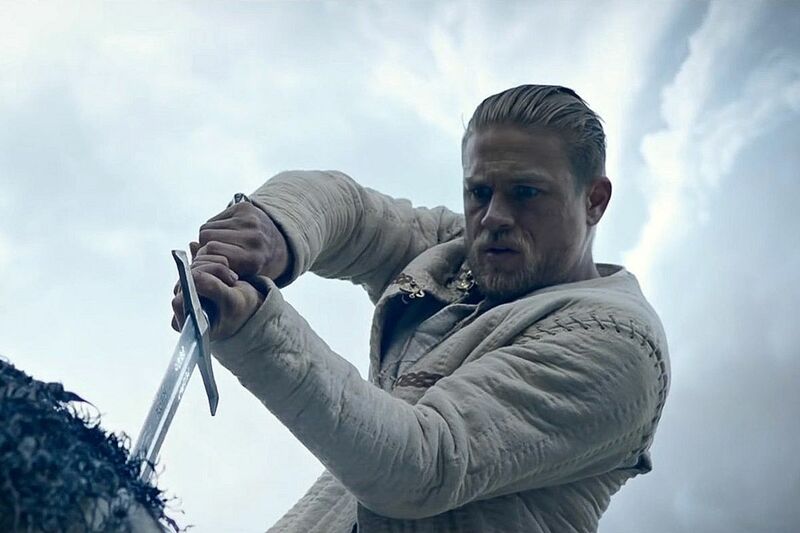 Directed by Guy Richie, on a budget of $175 no less, King Arthur: Legend of the Sword bombed at the international box-office in the summer of 2017. Another example of putting the cart before the horse, Warner Bros announced that this would be the first part of a six movie series covering the vast mythos of the Arthurian legend. The idea on paper seems to make sense: make movies about the various knights of Arthur's legendary round table before they all unite in an Avengers-style climax; the problem, King Arthur: Legend of the Sword was an absolute mess, with ridiculous over the top set pieces and a runtime guaranteed to bore you through clunky expository sub-Lord of the Rings dialogue. The whole project all put sunk any hope of a continuation of the story, and that's probably for the best. This is one of situations where there isn't even a degree of curiosity as to what they would have done next, as there is in the case of Universal's Monsterverse (the thought of Javier Bardem as Frankenstein's monster is intriguing). Everyone can sleep soundly knowing that the is one of those rare cases where both the critics and the audience got it right, both panned the movie and doomed any hope of more. So, what can we conclude from these five examples. There's certainly still an appetite from some for the interconnected nature of the MCU, as evidenced by its continued success. As far as causal audiences are concerned however, cinematic universe don't hold the same currency anymore. The reversion to the solo-movie seems to be the favoured approach now, as evidenced by Warner Bros' U-turn with the DCEU. The bump which the cinematic universe gives to titles in its series seems to be dwindling somewhat, which is good when you consider that now movies will stand on their own two feet, succeeding or failing based on their own merits, as they did in the past. The MCU is the only shared universe that seems to be holding strong, and even with that there's a sense that something might change after Avengers: Endgame, when the roster of characters is bound to shift dramatically from the old guard to the new. Can the MCU survive in a world post-Iron Man, Captain American and Thor? Or will Captain Marvel, Black Panther, Spider-Man and co continue to fly the flag for the MCU in the years to come?